If you’re in my family… chances are you’ll eventually receive a weird gift from me. It just so happens that my brother’s girlfriend just celebrated a birthday, so I thought I’d make a little gift for her (and I thought this would also be a fun & silly Valentine for someone). 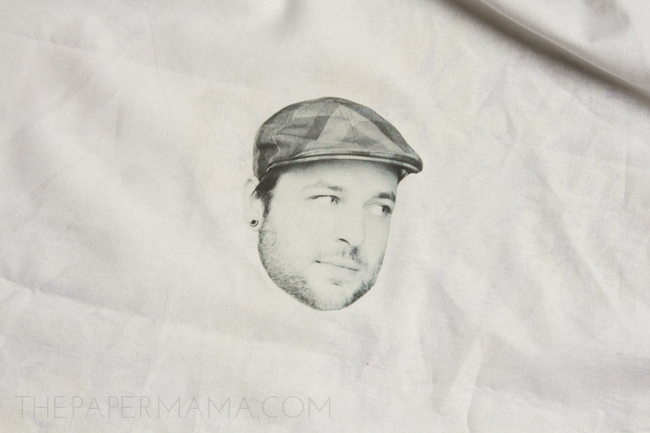 I made a pillow and ironed-on my brother’s face onto the pillow. Ha! 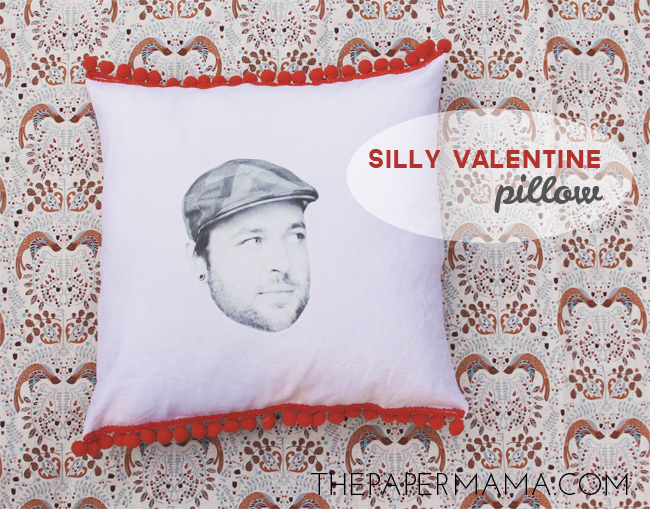 This Silly Valentine Pillow DIY would be a silly gift for your sweetheart this February 14th, or really anytime. – Take a photo of your Valentine’s lovely face. Use a photo editing program to trace out the head and place it on a white background. 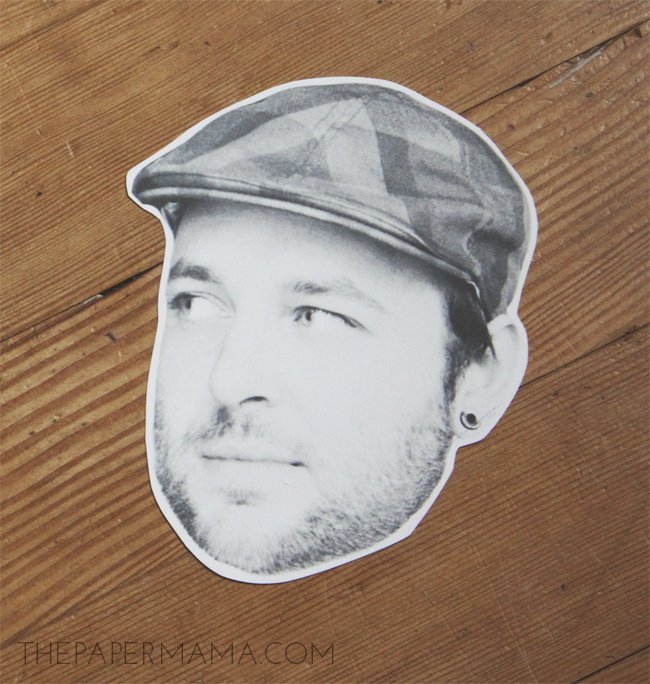 Print this photo onto your fabric transfer paper. If you’re not too savvy with photo editing programs, just print the full photo onto the fabric transfer paper cut out the face from there. – Cut out your fabric. I used an 18″ square pillow form, so I cut out 22″ square from each fabric. – Iron-on the cut out head onto the center of the white fabric (following the full directions for the fabric transfer paper). 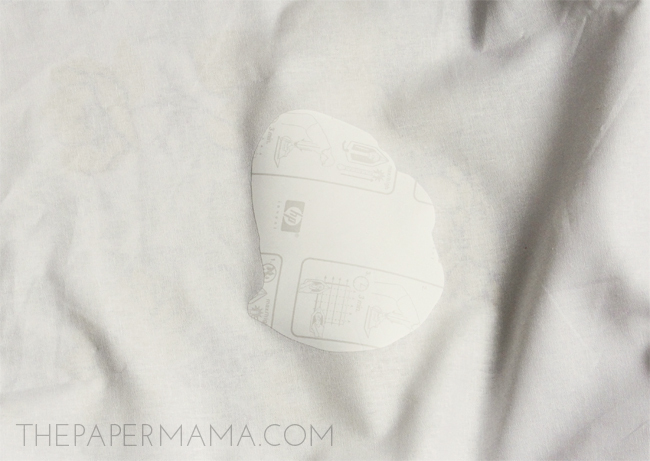 – When the iron-on image is cool, carefully peel off the paper backing. – Pin the pillows together and sew. I made a pocket in the back to insert the pillow. This is optional. I just wanted to give the gift recipient the option to remove the insert and wash the pillow. You can secure the pillow opening by sewing in a piece of velcro. 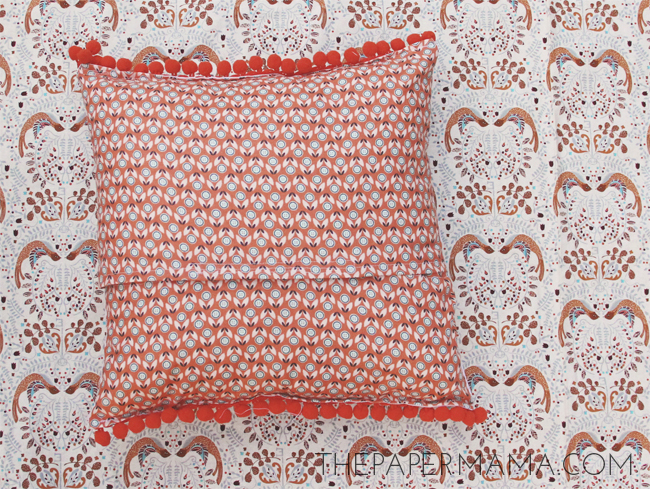 – Pin and sew the pom pom trim onto the top and bottom of the pillow. – NOT REALLY INTO SEWING? No worries. 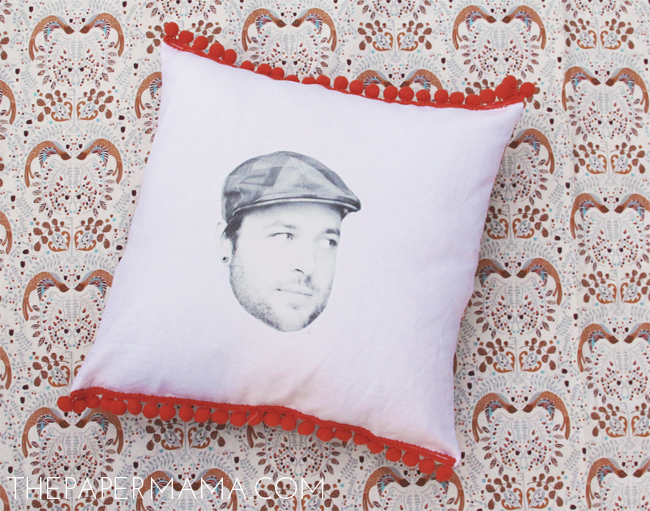 Purchase a finished pillow and iron the image onto the pillow. I suggest buying a pillow that has a removable cover so you can remove it… THEN iron on the image (since you need to iron on a flat surface). Boom. Gift done. If you make this, let me know! I’d love to see. A few months ago my husband was working nights and I told him I was going to iron his face onto a pillow to keep me company at night, HAHA!